If you would like a copy, please click on the below image. Newson, S.E., Evans, H.E. & Gillings, S. 2015. 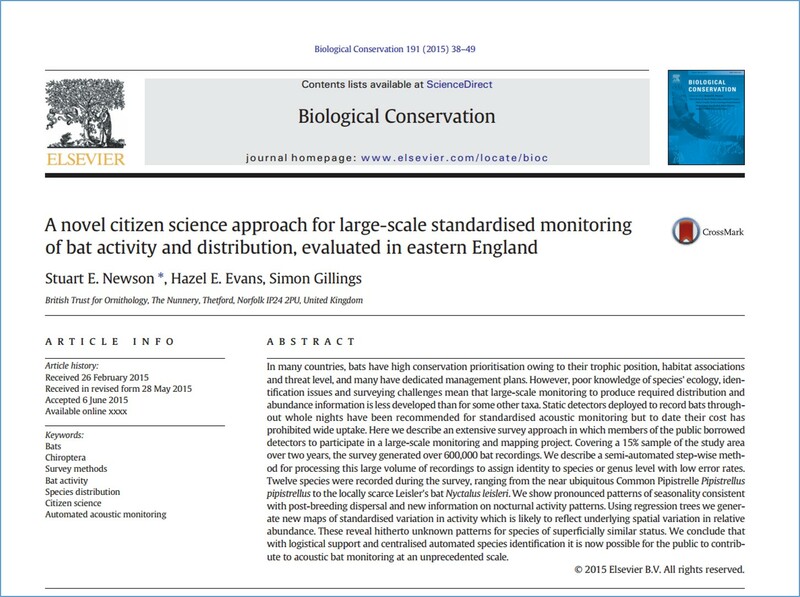 A novel citizen science approach for large-scale standardised monitoring of bat activity and distribution, evaluated in eastern England. Biological Conservation 191, 38-49. 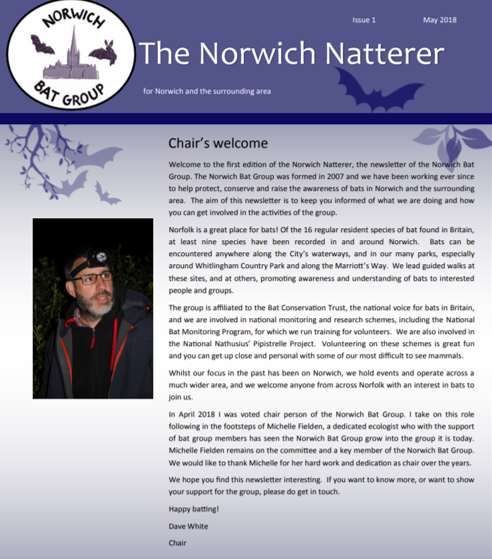 If you would like a copy please click on the image below. Zeale, M.R.K., Bennitt, E, Newson, S.E., Packman, C., Browne, W.J., Harris, S., Jones, G. & Stone, E. (2016). 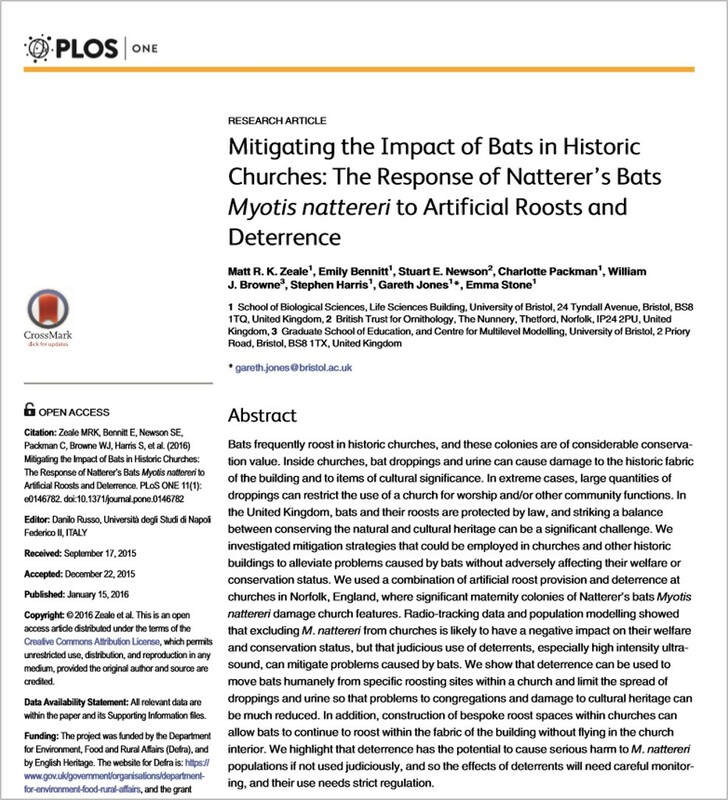 Mitigating the Impact of Bats in Historic Churches: The Response of Natterer’s Bats Myotis nattereri to Artificial Roosts and Deterrence. PLoS ONE 11(1): e0146782. doi: 10.1371/journal.pone.0146782. Stone, E., Zeale, M.R.K., Newson, S.E., Browne, W.J., Harris S, & Jones, G. (2015). 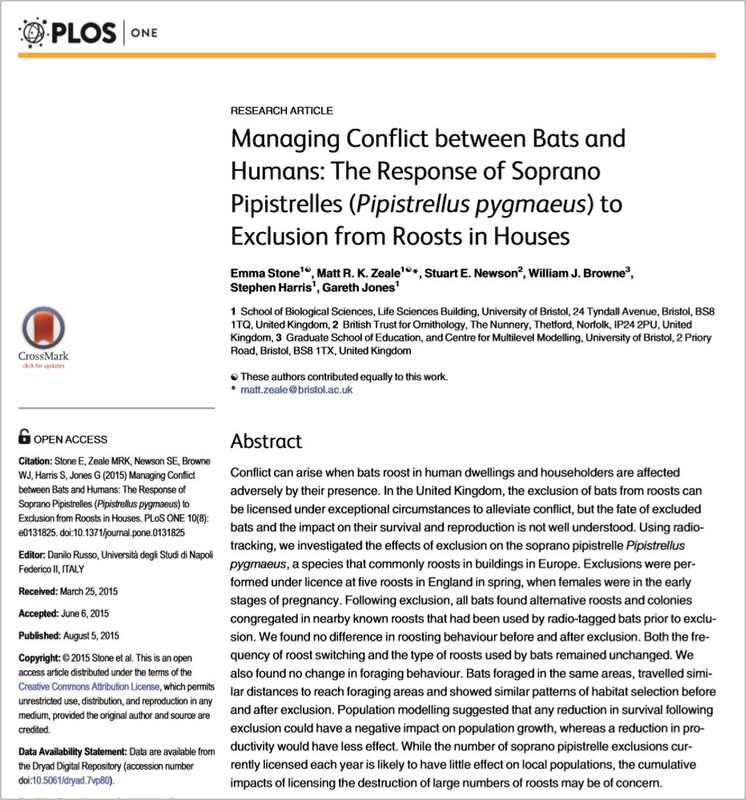 Managing Conflict between Bats and Humans: The Response of Soprano Pipistrelles (Pipistrellus pygmaeus) to Exclusion from Roosts in Houses. PLoS ONE 10(8): e0131825. doi: 10.1371/journal.pone.0131825.